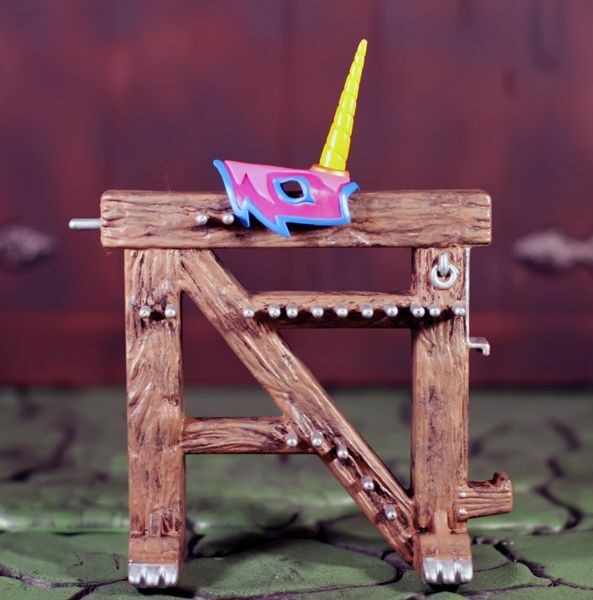 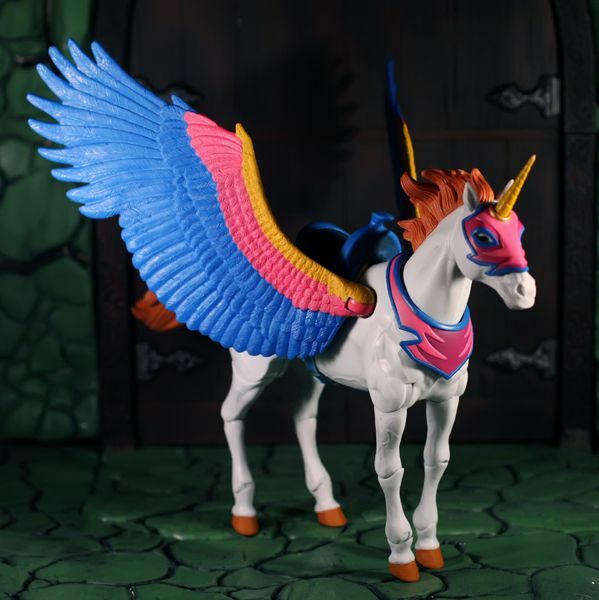 Masters Of The Universe Classics: Swiftwind Beautiful Horse Spirit Becomes Magical Flying Unicorn! 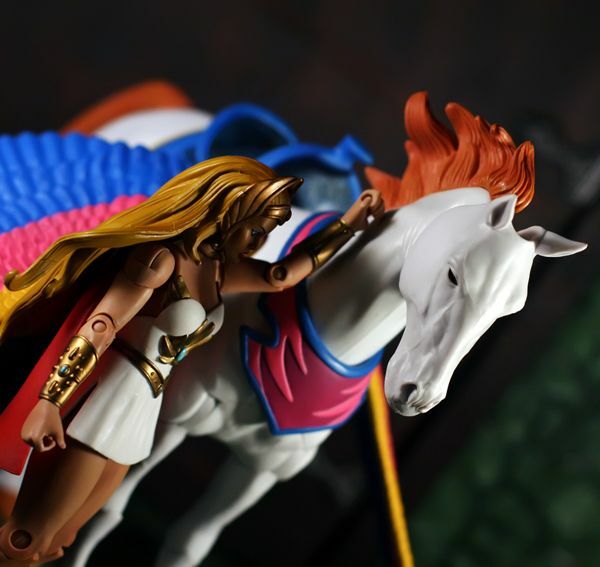 A magical steed from Etheria, Spirit served Adora during her time as Force Captain of the Horde Army. 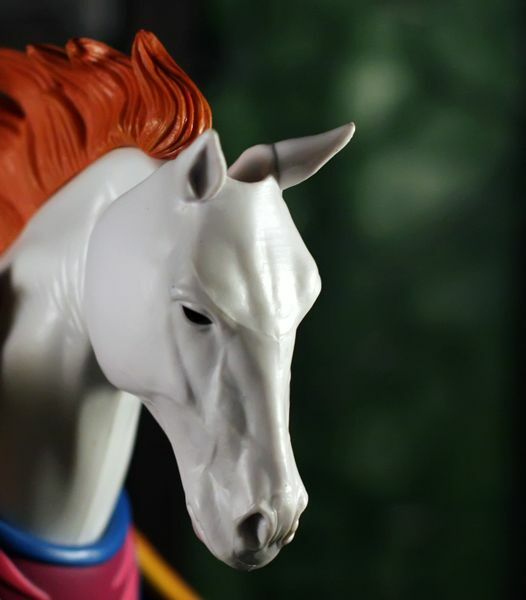 Loyal to Adora, not the Horde, Spirit stayed with her after Adora learned of her true heritage and joined the Great Rebellion. 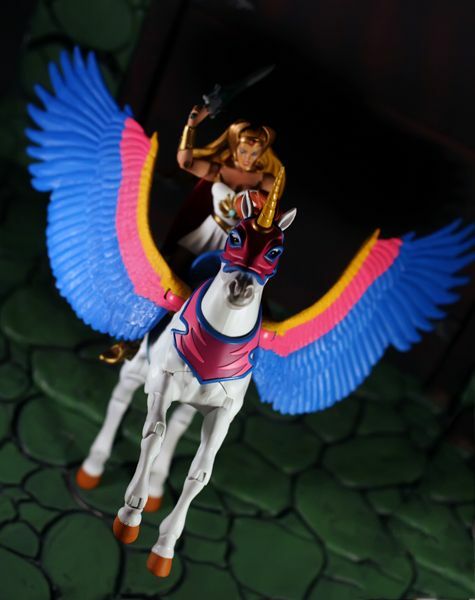 Enhanced by Adora’s newly acquired Sword of Protection, Spirit was transformed into She-Ra’s flying mount Swiftwind, heroically carrying the Princess of Power into battle. 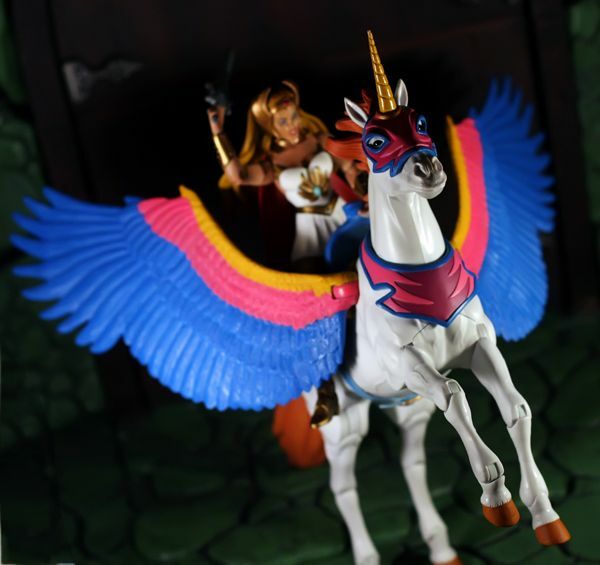 Swiftwind remained with She-Ra, traveling with her from Etheria to Eternia to join with the renegade Masters of the Universe in the continued fight against Hordak and his armies. 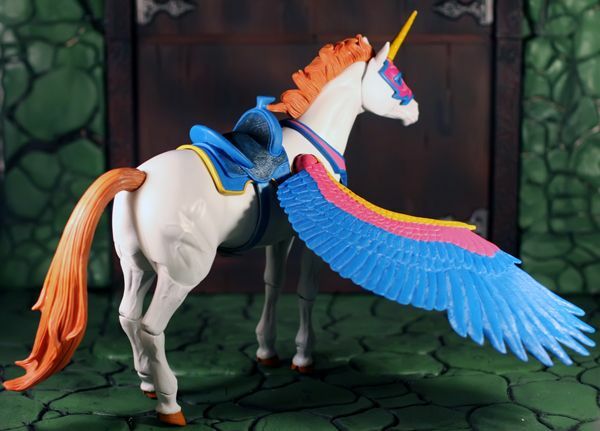 Accessories: Removable helmet and saddle (not pictured).